Marvel Embraces Cosplay with Cosplay Variant Covers « Adafruit Industries – Makers, hackers, artists, designers and engineers! If you’re a comic book publisher or video game developer, you’re likely aware of the role cosplay plays in the fan community. You only have to attend a single convention to witness the work and enthusiasm people pour into bringing their favorite characters to life. Marvel Comics is recognizing some of that effort by releasing variant covers featuring cosplayers for various titles in September. 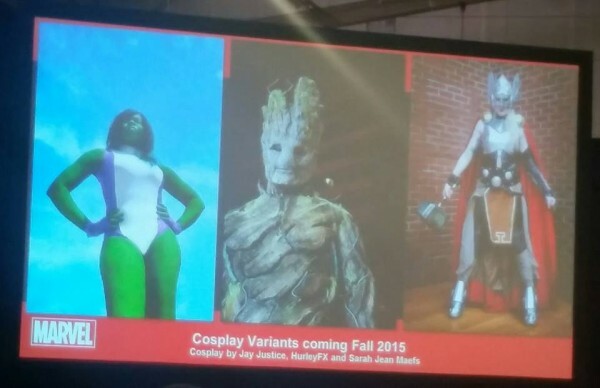 Judith Stephens will photograph the series and it will feature She-Hulk, Groot, Thor, and Medusa among others. Yaya Han’s Medusa costume is pictured above.